With more than 25 years’ experience, the RGF group specialises in plastic injection moulding, and combines know-how and technical expertise to support you with your industrial challenges. Equipped with the latest single and two-material injection technology, the RGF group design offices will support you in production of your tools and provide you with all their expertise to optimise your projects. 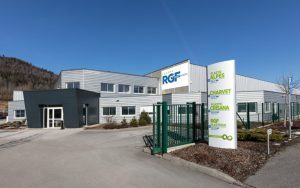 The RGF group is a human-scale organisation and works closely with its customers, offering a dynamic, responsive and adaptable approach on all of its production sites in France and internationally. The power of a group, the responsiveness of an SME.